Lynden supported several retail customers opening new stores at the Ala Moana Mall in Honolulu this spring. David Yurman Jewelry built a new location with Lynden exporting all store fixtures, lighting, flooring and an angel statue designed by Yurman himself for the exterior entrance. Lynden’s Chicago District Operations Manager Jason Hiti Shannon coordinated pickup and deliveries from Yurman’s New Jersey distribution center to the island which included warehousing the material and coordinating deliveries with the construction team to keep the project on schedule. According to New York Senior Account Executive Giovanna Aquilino, everything arrived on time with great care from Lynden. In addition, Lynden provides transportation services for L & J Interiors of jewelry and cosmetic fixtures for new retail store openings including the Bloomingdale’s anchor store at the Ala Moana Mall. Lynden also supports L & J Interiors’ remodel and new store openings for Macy’s Inc. in Hawaii, San Juan, Guam and Lower 48 locations. TORONTO – Lynden International Logistics Co., a leading provider of third party logistics (3PL) services for the healthcare manufacturing industry, announces its expansion in the Greater Toronto Area (GTA) with the opening of a second facility in Milton, Ontario. "The new 65,000-square-foot facility expands our capacity in the GTA and adds to our network of locations in Canada which includes Toronto, Calgary and Vancouver," says Kevin Gillies, Vice President and General Manager of Lynden International Logistics Co. "This warehouse facility will meet the growing demands of our clients and allow us to continue to offer flexible and customized solutions on a national basis, whether in cold chain management, ambient storage or controlled drug storage." 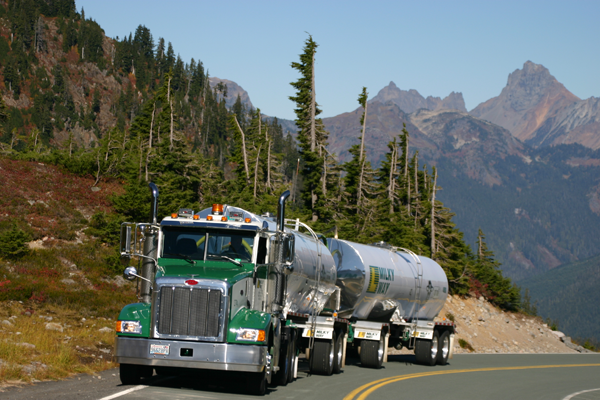 Lynden International Logistics Co. clients include manufacturers of pharmaceutical and healthcare products for humans and animals as well as natural health products, health and beauty and consumer health products. It provides warehousing, distribution, order fulfillment, customer service, transportation, order-to-cash and other specialty services. Lynden International Logistics Co. was established in October 2000 with the acquisition of select Livingston Healthcare Services Inc. facilities, retaining over 60 years of experience and expertise within the 3PL healthcare sector. Lynden International, a full-service freight forwarding and logistics company, opened a new service center in San Francisco in June. The new office is managed by District Manager Chuck Paterson and adds a key Northern California location to Lynden's domestic network. "We have served the California market for many years, and we are excited to offer San Francisco customers the benefits and capabilities of Lynden's worldwide forwarding and logistics network," says Mike Nagle, Lynden International Vice President of Sales and Marketing. "Our new office is in a great location," notes Paterson. "It is only three miles from the San Francisco International Airport and offers warehouse space for customers. We will focus on San Francisco's IT, biotech and pharmaceutical industries as well as other businesses in the area." Paterson is a 28-year veteran of the transportation industry. Prior to joining Lynden, he held key positions with DB Schenker and BAX Global. Lynden International's office is located at 268 Lawrence Avenue in South San Francisco. Lynden International is one of the Lynden family of companies whose combined capabilities include: worldwide air and ocean forwarding, international shipping, freight shipping and logistics, trade show shipping, truckload and less-than-truckload transportation, scheduled and charter barges, intermodal bulk chemical hauls, scheduled and chartered Hercules L-382 cargo aircraft and multi-modal logistics. Lynden International was voted top forwarder in the 2011 Quest for Quality Awards presented by Logistics Management magazine. Milky Way/LTI, Inc. began farm pickup operations for 32 Darigold farms in Montana on Jan. 1. The farms and newly hired drivers are located around Bozeman and Missoula. Some of the milk will be delivered to Darigold in Bozeman and some will be delivered a longer distance to Spokane, Jerome and Billings. “I would like to welcome Gear Lemon and Brandon Barnez back to the Lynden family of companies. These two men worked for Dairy Express in Montana in the 1990s,” says Brad Williamson, LTI, Inc. President.